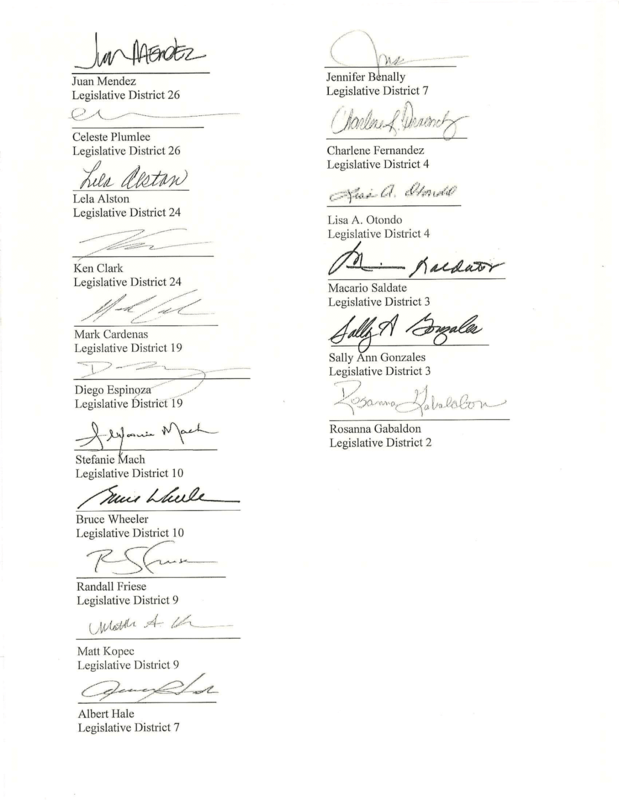 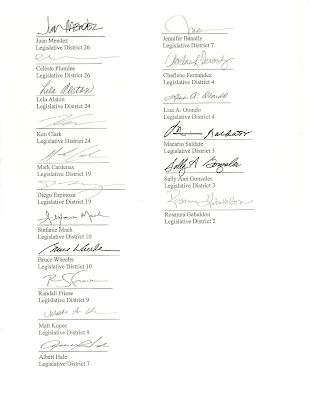 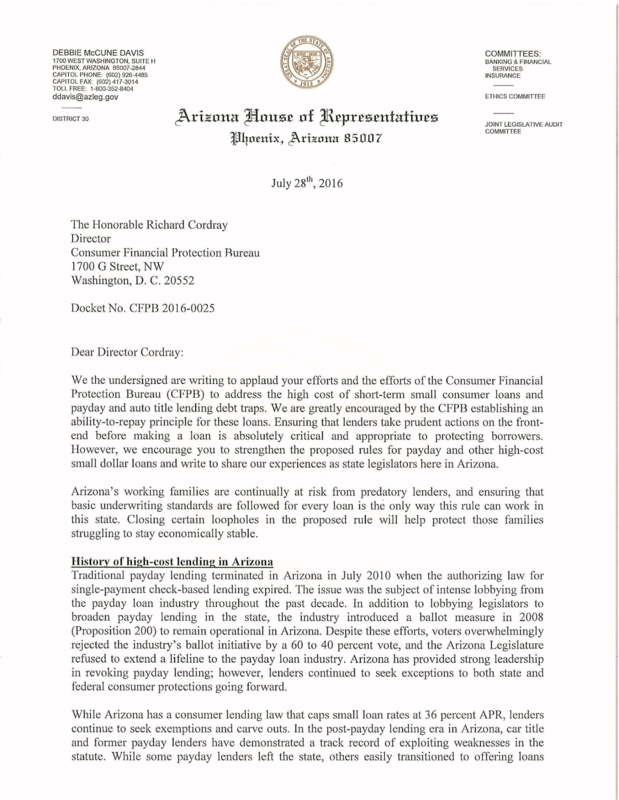 STATE CAPITOL, PHOENIX – All House Democrats signed a letter from Rep. Debbie McCune Davis, D-Phoenix (District 30), urging the Consumer Financial Protection Bureau to strengthen proposed rules for high-cost loans, citing continued predatory lending risks. 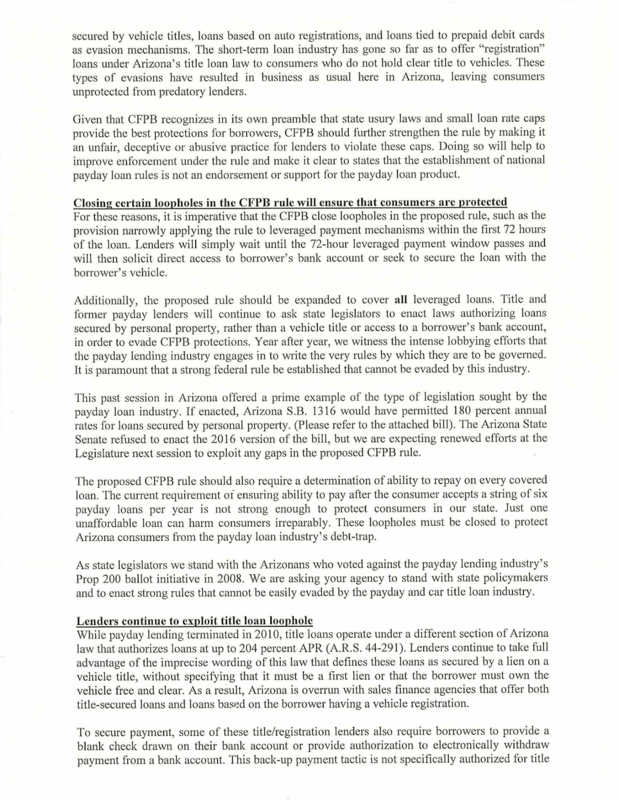 McCune Davis and her colleagues encouraged the CFPB to propose rules to close regulatory loopholes, like those for title loans under Arizona statutes. 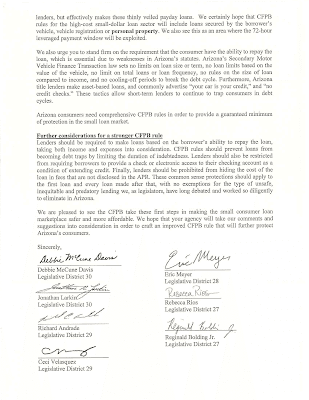 The letter also encourages the CFPB to require lenders to consider a borrower’s ability to repay a loan – taking both income and expenses into consideration for all loan products. 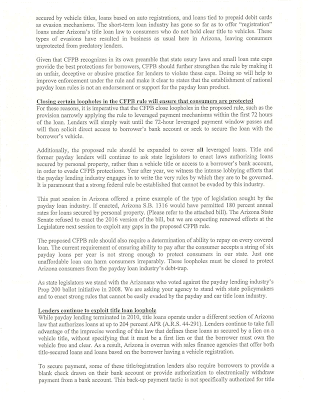 The CFPB is taking public comment on high-risk loan products through Oct. 7, 2016. 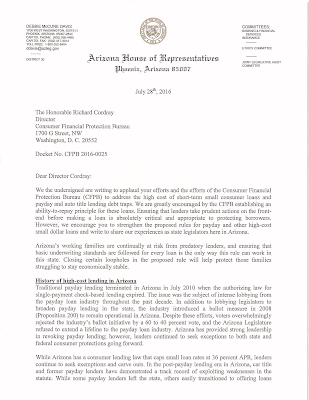 People can send comments to CFPB Director Cordray by going to this link: http://stoppaydaypredators.org/az/. 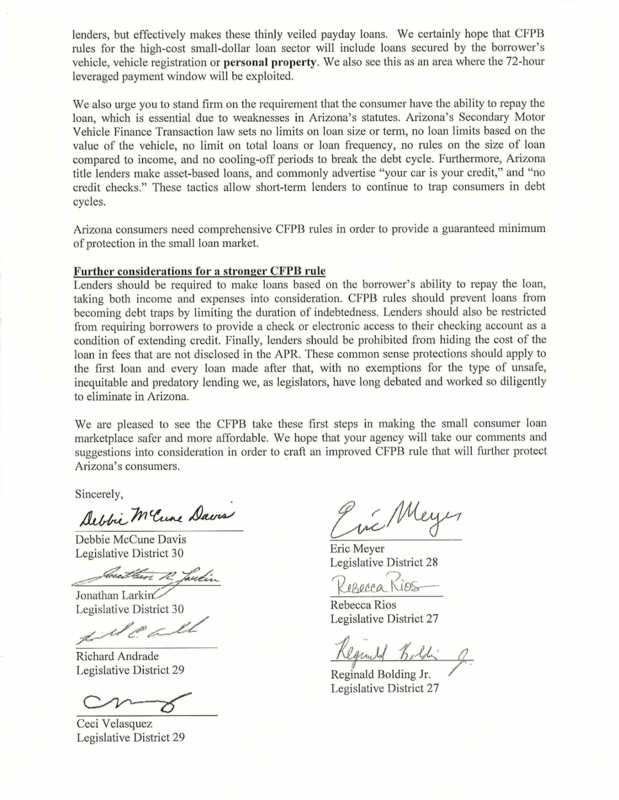 To see a full copy of the letter House Democrats sent to the CFPB, see below.